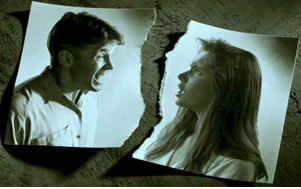 Did you know that a broken heart could lead to bad health?A new study demonstrates divorce or the death of a spouse causes long-term negative health consequences. Those in the study that were divorced or widowed were 20 percent more likely to have heart disease, diabetes, cancer or another chronic condition and 23 percent more likely to have mobility problems, such as difficulty climbing stairs. Did you also know that remarriage can help, but it does not take away the effects of losing a spouse?Those who were remarried after losing a spouse still showed 12 percent more chronic health conditions and 19 percent more mobility problems than married respondents who had been divorced or widowed. The same study showed those who were divorced or widowed and were not remarried were 22 percent more likely to have chronic health conditions and 27 percent more likely to have mobility issues compared with those who were married and had not been divorced or widowed. There are things that you can do to build yourself up to be better prepared for the pain and stress of losing a spouse to divorce or death. So what can you do if you or someone you know has lost a spouse to divorce or death?Below are three tips to better prepare you to avoid potential health problems. 1) Communicate. It is important that you express your feelings to the safe people in your life. Safe people are those who will really listen to your struggles. They will let you share your story and all the pain you are experiencing as a result of the loss. 2) Forgiveness.When you forgive your spouse and yourself for the demise of the marriage, research demonstrate evidence through various studies that letting go of grudges and bitterness lowers blood pressure, reduces stress, and you will experience fewer depression and anxiety symptoms, to name a few.However, it may take time to get to this point, but you want to consider this as a long term goal. 3) Support. It is important that you do not go through a divorce or a loss alone.You want to build a supportive team around you whether through a support group, close friends, family, and counseling. There are many other things that you can do to position yourself to be better prepared for the difficult journey of going through a divorce or losing a spouse.Remember after verbalizing what you are experiencing and feeling to people that love and care about you, you also want to work on the process of forgiving your spouse and yourself so that you do not carry resentment and hatred, and lastly find a support system of people that understand and can guide you through the journey to emotional health. Waite, Linda, J., (2009) Journal of Health and Social Behavior.